Enough with the “best Pc games of all time” or best games of 2018. Who is excited for 2019? I did not know this was a thing until I felt like I have played the good games that are already around and I am looking for something new. A lot of gamers are still following the best games of recent time for their low-end or moderately tuned computers while a lot of gamers are waiting for the next year with their high-end rigs. While 2018 gave us a lot of surprises and top quality games like Red Dead Redemption 2, 2019 is waiting to appear and surprise us again. Not just new games and but in 2019 we are going to see a lot of remakes and sequels. Now I know that playing an entirely new game can be fun but it is also fun to play a sequel or a remade version of a game that we already love. I am going to mention 3 games that I am hyped about. 2018 is almost over and these are the games you should watch out for in 2019. Do you remember “The Knights of the Old Republic”? or “Dragon Age”? or “Mass Effect”? Now imagine those geniuses working on another future blockbuster. Do you like the smell of this news? I bet you do. Those three blockbusters came out of the EA’s BioWare studios and they are one to develop Anthem. 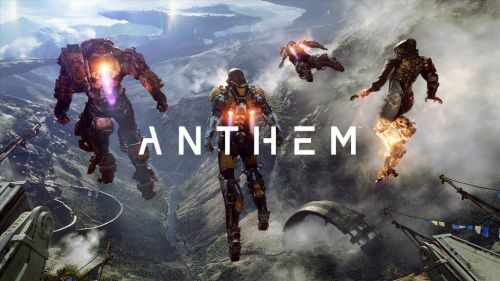 Anthem is the new upcoming Online Multiplayer Action Role-playing video game developed by BioWare and published by EA. The game will be released worldwide on Xbox One, PS4, and PC on February 22, 2019. In the game, you team up with two or three players in a cooperative adventure where your roles and contribution will depend on your choice of the Javelin Exosuit. The game will reward both cooperative and individual skill. As you make progress you will discover the storyline filled with unique characters. The matchmaking will ensure you find teammates really fast and match-make properly. You will be able to customize your loadout. Your Exosuit, weapons and other gears are customizable according to your play style. 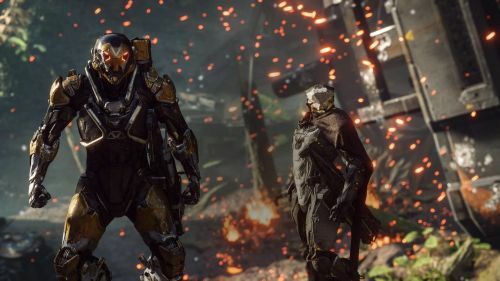 The world of Anthem is ever-evolving and changing constantly, as you play you will interact with unbelievable environments and new campaigns as the world of Anthem will keep changing and developing.